Full 1/2 hour audiofile here. 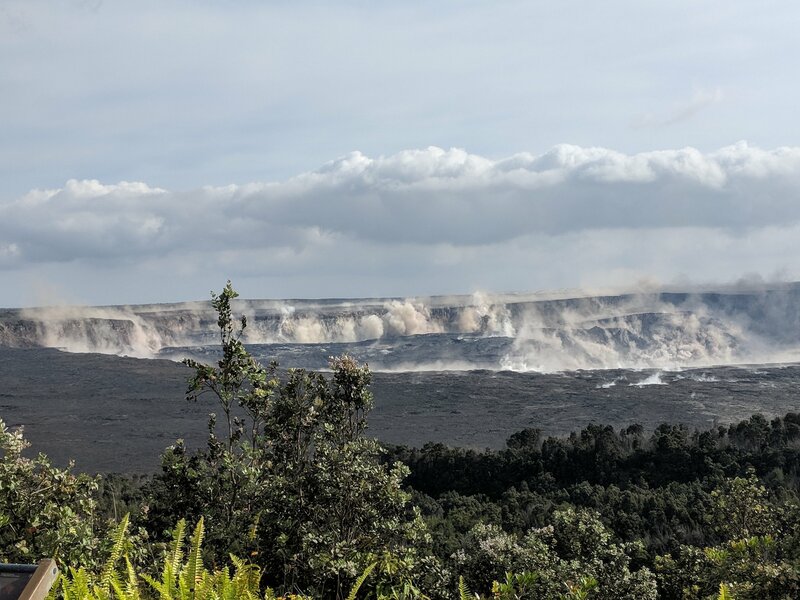 Janet Babb, Kīlauea Update: Good afternoon, everyone. On the Lower East Rift Zone, Fissure 8 is still active. 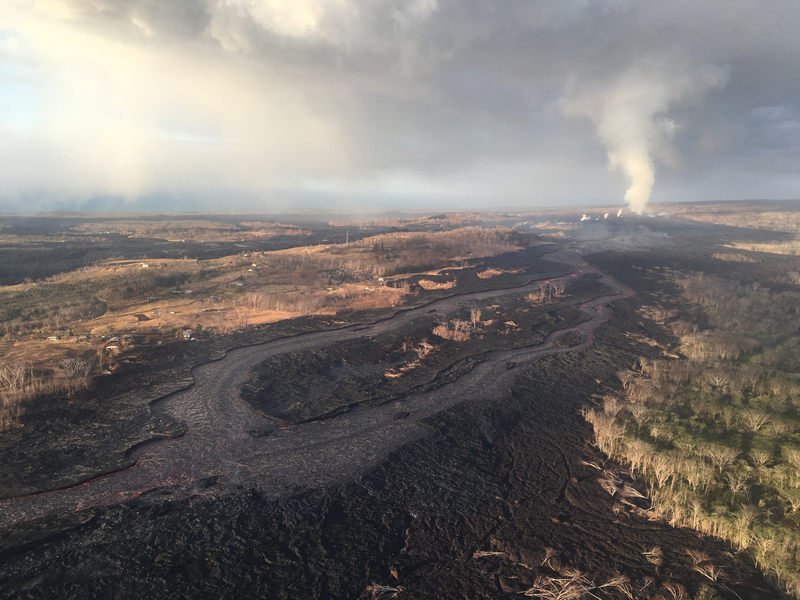 It continues to erupt lava into the perched channel that extends down on the west side of Kapoho Crater and feeds lava into the ocean. This morning, the main ocean entry was a little bit west of Ahalanui, with the flow margin about 500 meters, or 0.3 mile, from the Pohoiki boat ramp. 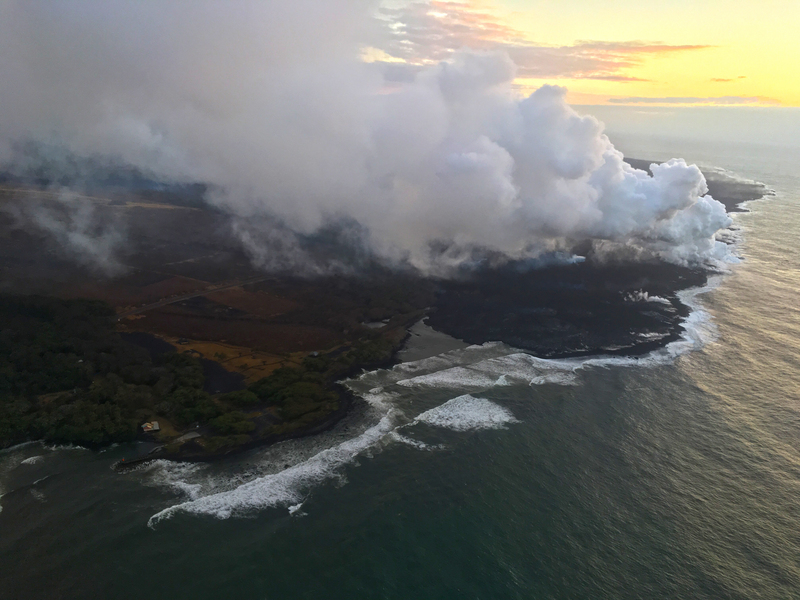 There’s still some weak ocean entry points to the north of this main entry over near the Kapoho Bay lobe of lava where there were some weak, wispy plumes there. 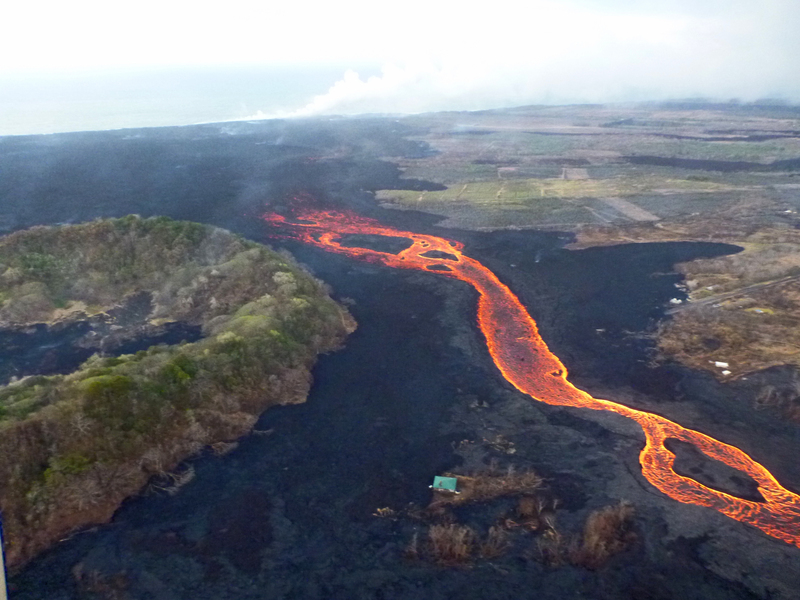 The flow front along the ocean, along the coast is still about 6 kilometers wide or 3.7 miles wide. 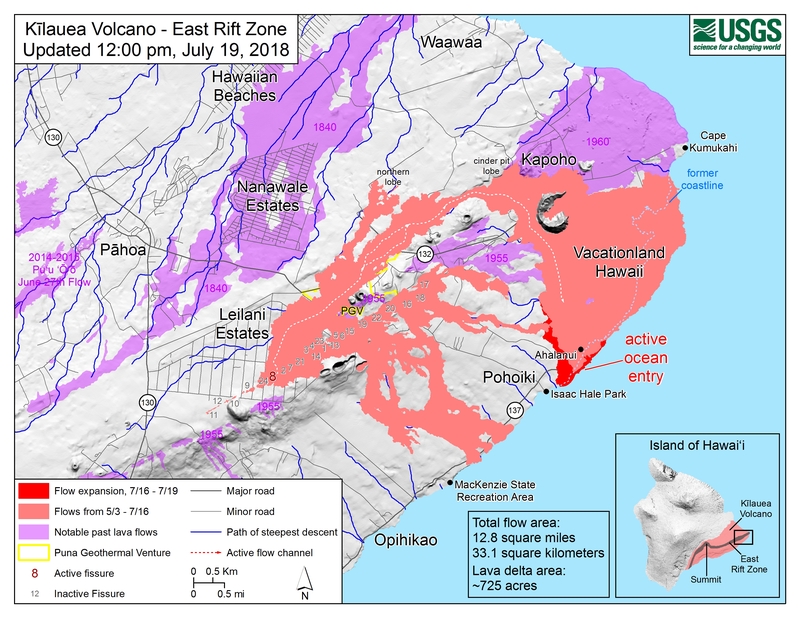 On the Lower East Rift Zone, the sulfur dioxide emissions remain high, and the ocean entry hazards include the laze plume, as well as the possible hydrovolcanic explosions, what we referred to on Monday as “littoral explosions.” Hydrovolcanic is a little more intuitive word to explain the lava-seawater interaction. 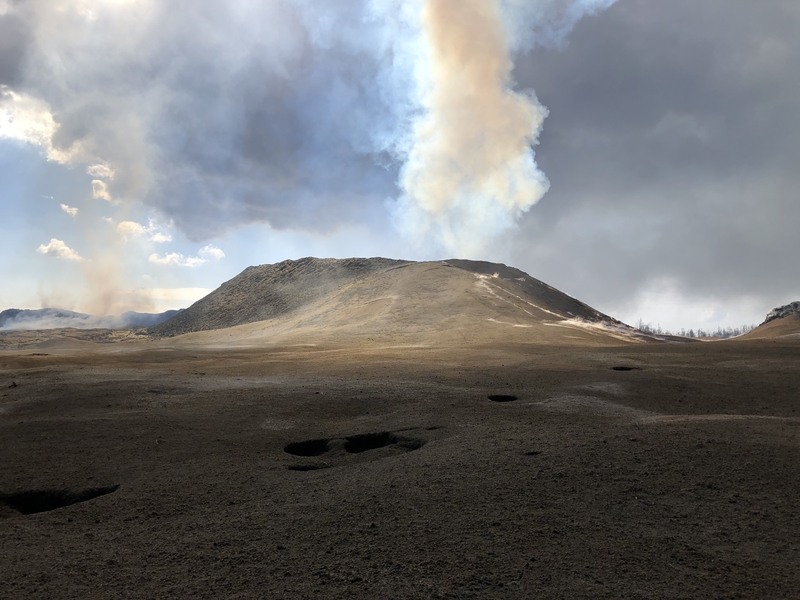 Up at the summit, as we speak earthquakes are occurring at a rate of about 25-30 per hour as the volcano builds up to the next collapse event [this phonecall at 1 pm, collapse came at 4:33 pm.] The previous collapse event weas at 1:28 am July 18, so it’s been about 36 hours. We are within that time interval where we typically see these collapses occur. 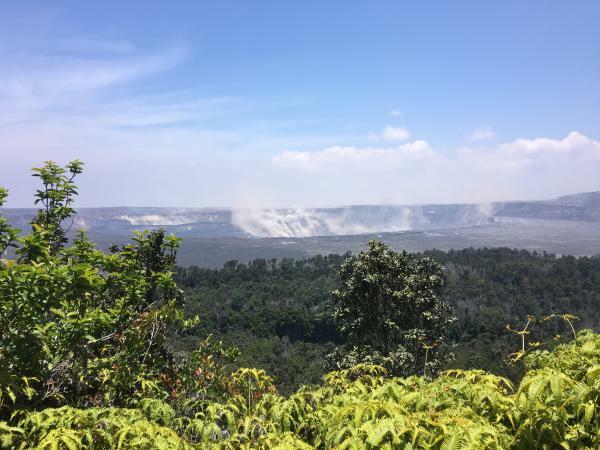 At the summit, the sulfur dioxide emissions are low. 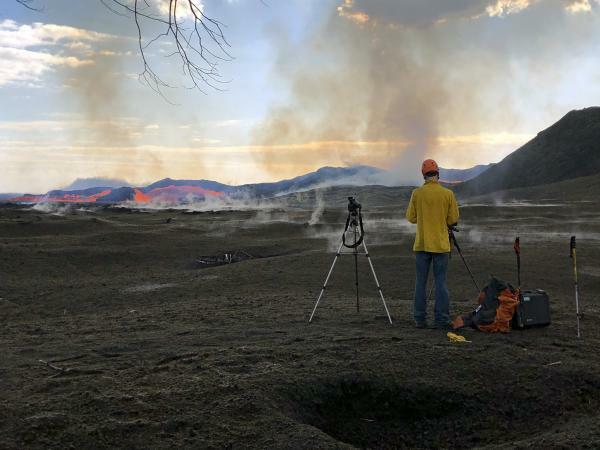 We’ll be posting some new photos and a new map shortly after this media call. That’s all.